Sarasota County staff is celebrating National Library Week by inviting members of the community to check out the new Living Library program, which began April 9 at all library locations, the county has announced. “The program is an effort to enhance relationships and encourage open dialogue among the members of the community in a one-on-one setting,” a news release explains. A library patron may sign up for 20-minute sessions with people selected from a “book” that features speakers who represent “the diversity of Sarasota County,” the release points out. 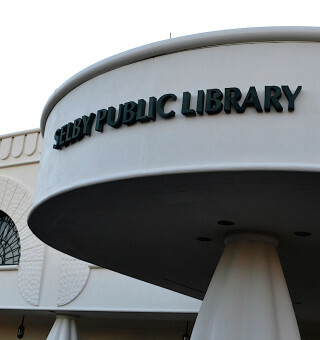 “A similar program was started at North Sarasota Library in 2018,” the release continues. It proved so successful, the release says, that the decision was made to expand access to the program to residents in all areas of the county. “This is a wonderful opportunity to learn, to challenge stereotypes and to have an open discussion,” said Sarabeth Kalajian, director of the county’s Libraries and Historical Resources Department, in the release. “Our libraries represent not only an opportunity to gain knowledge from the written word, but to connect with others through conversation and understanding. As the old saying goes, don’t judge a book by its cover,” she added in the release. For more information, call the county Contact Center at 861-5000 or visit scgov.net.